Talwar, Shenaz Treasury, Shivam Patil, Amyra Dastur and Neil Bhoopalam. 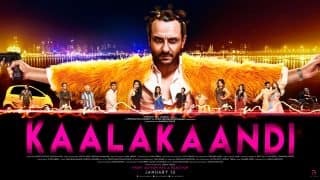 Kaalakaandi is a dark comedy and tells the story of six characters from different worlds within the city of Mumbai. 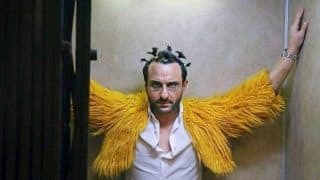 Saif Ali Khan said about the film in a statement, "Kaalakaandi is a film I'm so happy to be a part of! It's a cross section of Mumbai with underworld goons, doomed bankers and idealistic lovers all mixed together in this karmic tale about love, crime and living a lifetime in one night!! 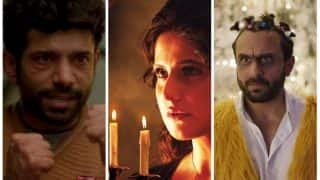 Akshat has written and directed this unique movie.... and he is probably the only voice who tells it exactly like it actually is.... Mumbai is a crazy, beautiful city and he is captured it perfectly in this very fun and very moving film!!" 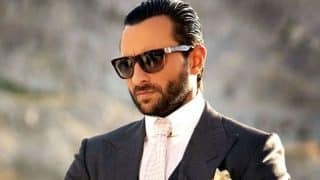 Saif Ali Khan, who has been seen in offbeat films like Being Cyrus and Go Goa Gone playing offbeat characters, was specifically kept in mind while writing the crazy role of Kaalakaandi, says Cinestaan. 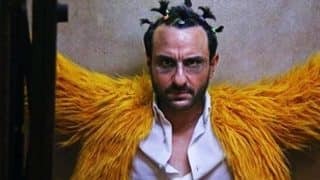 Aamir Khan Just Reviewed Saif Ali Khan's Kaalakaandi And We Can't Wait To Watch It! 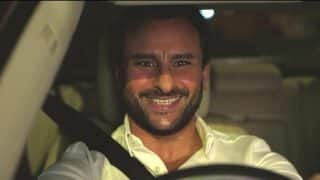 Kaalakaandi Song Swagpur Ka Chaudhary: Saif Ali Khan's Desi Swag Will Make You Hit The Dance Floor ASAP! 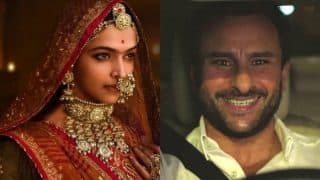 Saif Ali Khan’s Kaalakaandi To Get Pushed Because Of Deepika Padukone’s Padmavati? 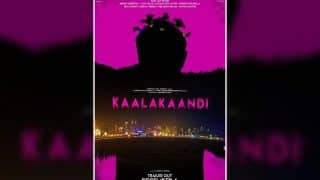 Makers Of Saif Ali Khan's Kaalakaandi To Release The Film On Netflix? 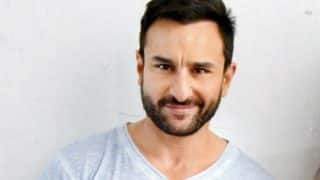 Saif Ali Khan Starrer Kaalakaandi Too "Niche" To Release In Theatres, Makers Look Towards Netflix Instead? 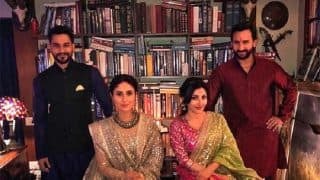 Kareena Kapoor Khan-Saif, Soha Ali Khan-Kunal Kemmu Pose For A Royal Pic But Where Are Taimur And Inaaya? 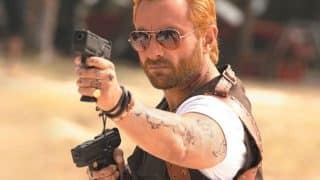 Saif Ali Khan Agrees To Star In Go Goa Gone Sequel?